We have a CCTV lens that is on a huge FIRE SALE! 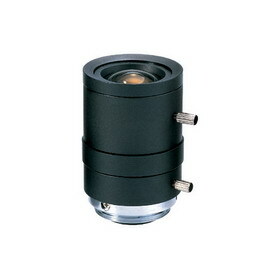 This C/CS mount cctv lens is the G358MAN from GOLD CCTV. This lens has a varifocal manually adjusted focal length that can range from a wide 3.5mm to a narrower 8mm. This gives your cameras the ability to have a viewing angle that best suits your surveillance applications. Of course that’s not all when it comes to this lens, not by a long shot. This camera lens also has a fantastic F-Stop of f1.4 to allow for a great deal of light to enter your camera in lower light conditions. This will make low light surveillance all the easier to work in. So now you may be asking what kind of deal could we be offering on this great cctv lens. Well we are almost embarrassed at how low our price of only $22.99 is. Heck you can barely even take 2 people to the movies at that price. So if you want a high quality cctv lens for your surveillance system, then take a look at the G358MAN from GOLD CCTV! Of course that’s not all! What’s even more crazy is that if you buy 10 of them you get them for only $15 a piece! Of course we continually add newer and similarly priced FIRE SALE deals all the time. So take a look at all the other great deals we have!